When Danielle Ofri enters the doors of New York's legendary Bellevue Hospital as a tentative medical student, she is plunged into the teeming world of urban medicine: mysterious illnesses, patients speaking any one of a dozen languages, overworked interns devising audacious strategies to cope with the intensity of a big-city hospital. In a facility where poverty and social strife are as much a part of the pathology as any microbe, it is the medical students and interns who are thrust into the searing intimacy that is the doctor-patient relationship. 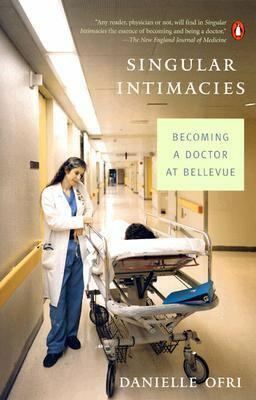 With each chapter, Ofri introduces us to a new medical crisis and a human being with an intricate and compelling history.Ofri, Danielle is the author of 'Singular Intimacies', published 2004 under ISBN 9780142004388 and ISBN 0142004383.